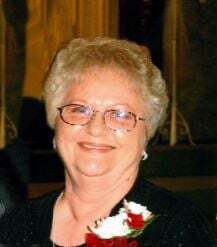 MURPHYSBORO — Linda (Hill) Graff, 77, passed away at 1:50 a.m. Saturday, Dec. 1, 2018, in Memorial Hospital of Carbondale. Linda is survived by three children, Steve Graff, Laurie Miller, and Carol Bollmann; six grandchildren; five great- grandchildren; one brother, Marty Hill of De Soto; and her beloved dog, Rosie. Services will be at 11 a.m. Tuesday, Dec. 4, in Pettett Funeral Home, with burial in Mount Joy Cemetery. Visitation will be from 5 to 8 p.m. Monday and until 11 a.m. Tuesday at the funeral home.